Entrepreneurship- “It means creating business opportunities in your community. I want to be an entrepreneur one day just like you, grandpa. I will open my own restaurant and bookstore. I can create jobs in the community and help others learn” Joey said. 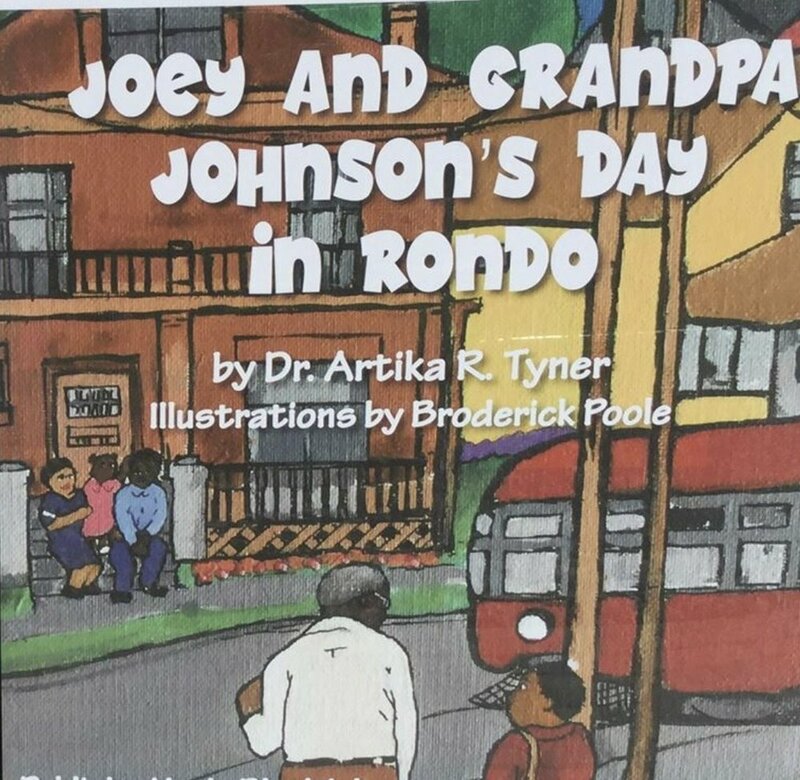 Joey grew up in a historical African American neighborhood called Rondo during the 1940’s. On his weekly Saturday adventure with his grandpa, he learns about the rich cultural heritage of his community and the power of entrepreneurship. Rondo was a thriving African American community with doctors, lawyers, dentists, restaurants and retail shops. The history of Rondo was drastically changed in the 1960’s when the government erected a new highway U.S. Interstate 94 which went directly through Rondo. The highway destroyed the economic engine of Rondo- entrepreneurship and small businesses but it did not destroy the vision of economic independence, education, and hope.